In an effort to continuously improve, Camdenton R-III Schools is seeking input and feedback from the parents in the district. We are asking that you please take a few minutes to complete a survey. Please "read full story" to access the survey link. 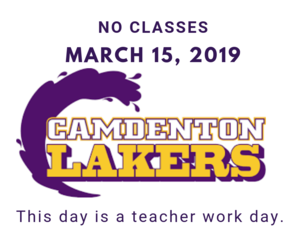 Camdenton R-III Schools will be in session on Monday March 4th. Snow Routes will be used for both AM and PM routes. "Read full story" to view snow route info. 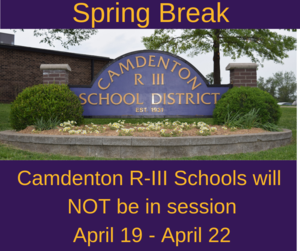 Camdenton R-III Schools will be in session on Friday, March 1st. 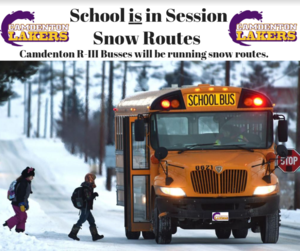 Snow routes will used for both Am and PM bus routes.